Description:Three phases muffle furnace are cost effective bench-top high temp muffle furnace. used for materials annealing and sintering in your research laboratory. 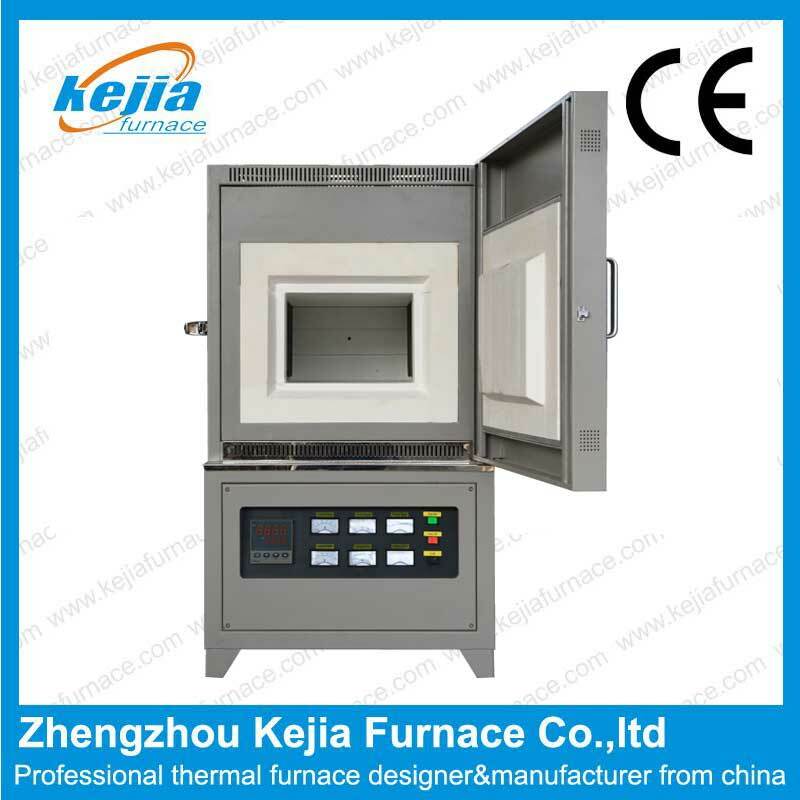 KJ series Three phases muffle furnace are the most cost effective bench-top high temperature muffle furnace. The furnace consists of high quality alumina fiber brick and MoSi2 heating elements with special design, and furnace temperature is controlled by high precision SCR (Silicon Controlled Rectifier) digital controller with accuracy +/-1 deg oC and 30 segments programmable. It is an ideal tool for materials annealing and sintering in your research laboratory. 1. Maximum energy efficiency is achieved by surrounding the chamber with thermal-efficient alumina fiber ceramic insulation. 2. Heavy duty double layer structure with cooling fan. Lower teperature in outside case. 3. PID automatic control via current limiting phase angle fired the resistor, e.g. SCR(Silicon Controlled Rectifier). 4. Power control with 50 segments programmable. 5. Vent port (gas outlet) installed on the top for gas flow. In 7 days after receiving the payment. Three phases muffle furnace can be customized according to customers’requirements.